The shoulder is not a single joint, but is rather made up of three separate bones, the humerus (upper arm), scapula (shoulder blade), and clavicle (collar bone). A combination of muscles, tendons, and tissues together known as the rotator cuff, keep the arm bone fixed in the shoulder socket. An injury or damage to any part of these linked bones or muscles can cause severe shoulder pain and lack of mobility. The pain may be of a temporary nature, or it may get worse and require a professional diagnosis and treatment. A visit to your general practitioner, depending on the nature of the problem, will probably result in a recommendation to consult an orthopedic surgeon for a second opinion, appropriate tests, or expert treatment. 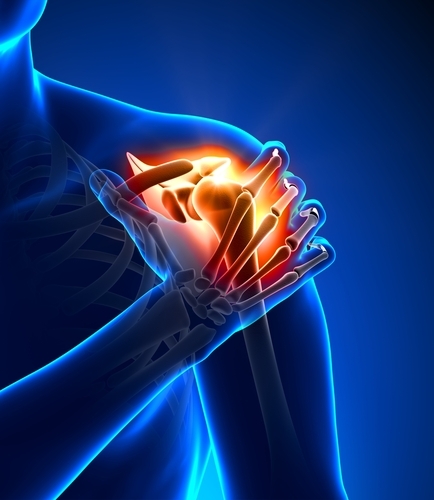 What are some causes of shoulder pain? 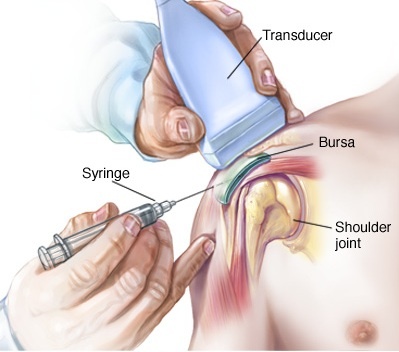 Bursas are small fluid-filled sacs located in joints throughout the body, including the shoulder. The bursa acts as a cushion between bones and soft tissue. Overuse of the shoulder can cause swelling and pain of the bursa and render it somewhat ineffectual, leading to shoulder pain. Tendon tear. A tendon tear is mostly caused by a sporting injury or a fall. It can also be as a result of advancing age, wear and tear or long-term overuse. 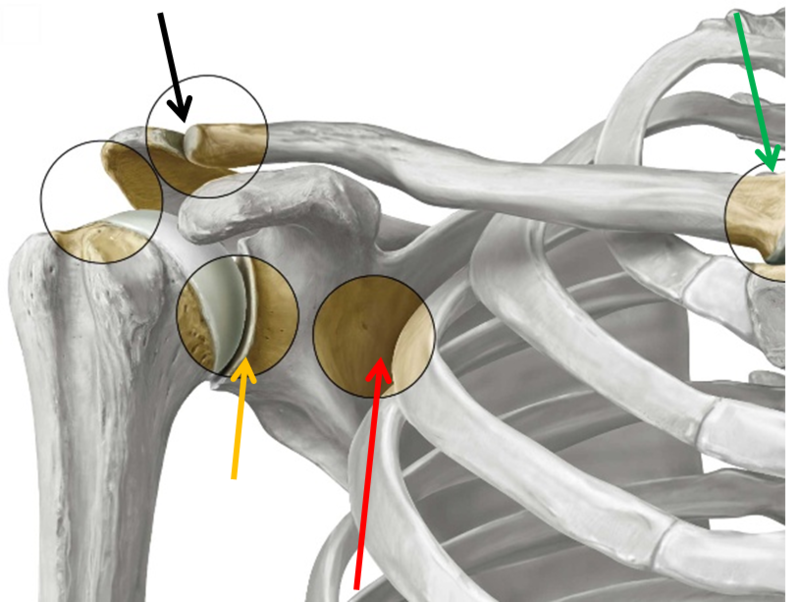 If the tendon is detached from the bone, the consequence is severe shoulder pain. The shoulder is usually affected by osteoarthritis, mainly due to participation in vigorous sporting activities, or an injury from a fall. The result is a painful restriction of movement and a loss of shoulder mobility. When the shoulder joint is dislocated, either fully or partially, there is a great deal of shoulder instability. A partial dislocation occurs when the upper arm comes partly out of the socket, while a full dislocation is when the ball comes completely out of the socket. Either way, there is huge shoulder pain. Broken bones. Any broken bone in the shoulder area such as the collar bone, upper arm or shoulder blade, always results in severe pain and swelling. What kind of treatment could be necessary? Once the doctor has established the cause of the pain, you will most probably be offered various treatment protocols which would help to relieve the problem. A rotator cuff injury will sometimes respond to physical therapy treatment and exercises to improve the strength of the muscles surrounding the shoulder joint. However a serious rotator cuff injury involving a complete tear of a muscle or tendon may require surgical repair. A severely broken bone will require surgical intervention to reset the bone. A comprehensive orthopedic assessment will enable the doctor to fully explain the type of surgery which could be required. In many instances, arthroscopic surgery which is highly successful and minimally invasive, is often recommended. Be sure to visit a competent orthopedic surgeon who will be able to give you the best advice to effectively deal with your shoulder pain and problems. Our specialists provide the best orthopedic and medical care available. We incorporate a multipronged approach to optimize your medical care. If you have been told you need surgery or suffer from shoulder pain, contact our specialists at Orthopedic Surgery San Diego today.